The Lords sleaze watchdog has launched a formal investigation into claims that John Selwyn Gummer failed to declaremore than £600,000 of payments made to his private company by ‘green’ businesses that stand to profit from his advice to Ministers. Five MPs lodged a complaint with Standards Commissioner Lucy Scott-Moncrieff following last week’s Mail on Sunday revelations about the business interests of the Tory peer, who chairs the influential Climate Change Committee (CCC). Just hours later, she announced her inquiry into allegations he may have breached code of conduct rules. The CCC has backed taxpayer-funded subsidies for ‘renewable’ energy projects, and last week we disclosed how Gummer’s family consultancy firm Sancroft International had been paid by businesses working in the same field. It is understood that a dossier submitted to the Commissioner by the MPs – Labour’s Graham Stringer and Tories David Davies, Nadine Dorries, Craig Mackinlay and Andrea Jenkyns – included details of our investigation as well as claims that he failed to properly declare his financial interests when speaking in a number of debates in the Lords. 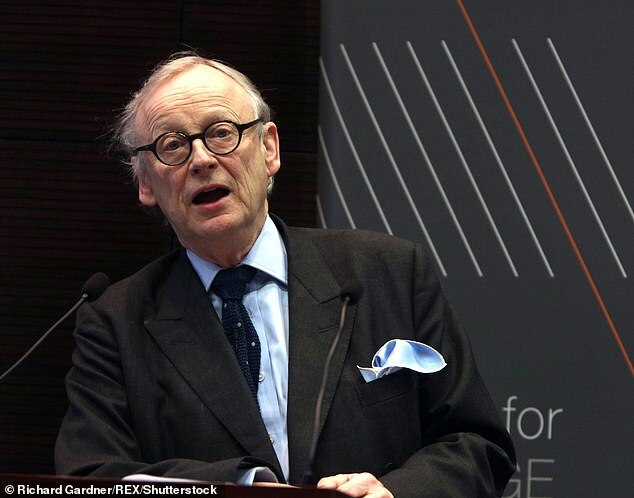 Gummer, who became Lord Deben in 2010 after a 35-year Commons career, last night said that he ‘welcomes the fact that an independent person will be looking into these allegations’. He has previously denied any conflict of interest or failure to comply with disclosure rules. The CCC declined to say whether the 79-year-old would be suspended while the inquiry is conducted. The Lords investigation announced on Friday was sparked by our revelations last weekend that Sancroft had been paid by at least nine businesses and campaign groups involved in projects to cut greenhouse gases.